The Complete Guide on What is Bitcoin Mining and How Does It Work? The popularity of Bitcoin is rising as more and more people are learning about it. However, it is still difficult to understand some ideas related to Bitcoin — Bitcoin mining is definitely one of them. What is Bitcoin mining? How does Bitcoin mining work? How long does it take to mine a bitcoin…? There are so many questions we ask ourselves when we first read about Bitcoin and mining. It’s confusing, right? It’s okay, though. I’m here to help! In this guide, you will find all the answers you need. I’m going to make Bitcoin mining simple and explain it to you in a way that is easy to understand. I’ll talk about how mining works, what it is and how to start Bitcoin mining yourself. By the end of this guide, you will have a much better understanding of Bitcoin mining. If anyone asks you “What is Bitcoin mining?”, you’ll be able to answer confidently. 1 What is Bitcoin Mining? 2 What is Bitcoin Mining: How Does Bitcoin Mining Work? 2.1 What Is a Block and the Blockchain Technology? 2.2 How Does Bitcoin Mining Work? 3 What is Bitcoin Mining: How to Start Bitcoin Mining? 4 What is Bitcoin Mining: Is Mining Bitcoin for You? 4.1 What Is Bitcoin Mining Reward? 4.2 How Difficult is Bitcoin Mining? 4.3 How Much Does Bitcoin Mining Cost? 4.4 How Much Profit Can You Make by Mining Bitcoin? Bitcoin mining is the process of verifying, storing and securing Bitcoin transactions. Of course, there is much more to it than that. But before getting into more about what is Bitcoin mining and how it works, keep in mind these two important things about Bitcoin itself. When you make a payment using credit card, the credit card company verifies and records the transaction. Now, when you make a payment using bitcoin, there is no central/third party like the credit card company to verify the transaction. Instead, it is verified by Bitcoin miners. Unlike traditional money (USD, JPY, EUR etc. ), which is printed by banks, Bitcoin cannot be printed by anyone. With traditional money, the bank can print as much money as they want because there is no maximum limit on it. Bitcoin, though, has a maximum limit of 21 million. This means there can only be 21 million Bitcoin ever created! This is what Bitcoin is all about — it works without middlemen (like banks or credit card companies). As you can see, Bitcoin is very, very different from traditional payment systems like banks and credit card companies. As Bitcoin is not printed, though, how is new Bitcoin created? Can you guess what the solution is? If you thought it might be Bitcoin mining, you are right! So, yes, that’s the purpose of Bitcoin mining — to verify transactions and create new Bitcoin. But if that’s what it does, how does it work? 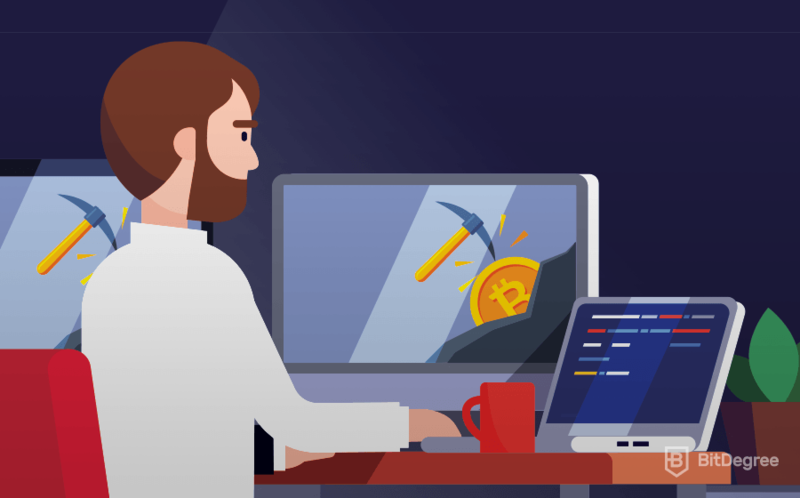 Let’s get into more about Bitcoin mining and answer the question that’s still on all our minds: what is Bitcoin mining? As you now know, Bitcoin mining is the process of verifying Bitcoin transactions and creating new Bitcoin. The people who mine Bitcoin are known as Bitcoin miners. Well, I say “people”, but really they are computers that are operated by people. These computers (which we call “nodes”) have to be very powerful computers, as Bitcoin mining uses a lot of computer power. They run software that connects them to the Bitcoin blockchain and solves mathematical problems. When these mathematical problems are solved, new transactional data is verified and stored on the Bitcoin blockchain. So, the Bitcoin miners are verifying the transactions instead of banks and credit card companies. This means there is no third party to trust or rely on. Clever, right? You might be thinking, why do these ‘miners’ make all this effort? Surely it’s very expensive? Well, that’s a good question. Put simply, they do it because they are rewarded with Bitcoin. That’s right, Bitcoin miners are paid with new Bitcoin. This is the only way that new Bitcoin can be created! At present, there are over 17,225,338 Bitcoins that have been mined and the reward for mining one full block (I’ll explain blocks in a moment) is set at 12.50 of Bitcoins. Remember, only 21 million Bitcoin can be mined in total; when all 21 million Bitcoins have been mined, no new Bitcoins can be created! So now you know what is Bitcoin mining in total. Now then — what’s a Bitcoin block? You’ll find out now as I explain how Bitcoin mining works. What is Bitcoin Mining: How Does Bitcoin Mining Work? Let’s talk about blocks and the technology involved in Bitcoin mining. You know that Bitcoin uses the blockchain, right? Well, that’s where we get the term ‘block’ from. What Is a Block and the Blockchain Technology? Many Bitcoin transactions happen at the same time. The transactions that happen at the same time are put into groups; these groups are called ‘blocks’. It is these groups/blocks that Bitcoin miners must verify — they verify the transactions in groups instead of verifying them individually. Once a block is verified, it gets added to a chain of blocks that have already been verified. That’s why the technology behind Bitcoin is called the blockchain! Note: you can read more about the blockchain in our Blockchain Explained guide. This will become easier to understand as I explain the step-by-step process of mining Bitcoins. Step 1: Imagine you want to pay using bitcoins to buy a bed. If the cost of the bed is $300, it will be around 0.046510 Bitcoin. While you buy the bed, other people around the world also buy things with Bitcoin. 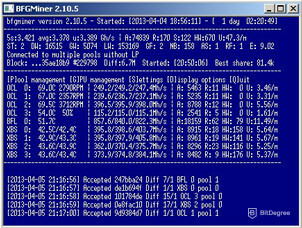 Step 2: The Bitcoin mining nodes (the computers) are told about these transactions that are happening. Step 3: Now, the Bitcoin miner must verify your transaction. You cannot take your bed home until the Bitcoin miner verifies your transaction. But, Wait. What Does Verifying a Transaction Mean and How Is It Done? Bitcoin miners run Bitcoin mining software that solves mathematical problems — imagine a computer completing a really complicated puzzle/jigsaw! With each block of transactions, the problem/puzzle that they must solve is different. Lots of Bitcoin miners try to solve the problem at the same time, but the miner that solves it first is the one who is rewarded with the new Bitcoin. It’s just like a race! Bitcoin miners keep data of all the past transactions of Bitcoin that have ever happened. I’ll call this the ‘database of old transactions’. So what is Bitcoin mining transaction? When you send Bitcoin, the Bitcoin miners check the ‘database of old transactions’ before verifying it. This makes sure that you have not spent the same Bitcoin in any of the past transactions. They also check if you own enough Bitcoin. In the bad example, the transaction was 0.046510 Bitcoin. So, the Bitcoin miners will check if you have 0.046510 Bitcoin before they verify it. If you don’t have 0.046510 Bitcoin, your transaction will not be verified, and you can’t buy the bed — sorry, double spenders! Step 4: The first miner to solve the puzzle (let’s call this miner ‘John’), must tell the rest of the nodes that he has solved the puzzle. Other miners then check to see if John’s solution to the puzzle is correct. Step 5: When 51% of the other miners agree that John has the correct solution, your 0.046510 Bitcoin is verified and sent. Note: The minimum time for verifying a transaction is 10 minutes. But with the increasing number of bitcoin transactions, it can sometimes be 35-40 minutes or more. Step 6: The Bitcoin miner finishes verifying the block/group that your transaction is in. The transaction is now complete! Yay — you can take your bed home! One of the best things about what is Bitcoin mining is that the person who chooses to become a miner doesn’t need to know how to solve the problems or be good at mathematics. They just need Bitcoin mining hardware (a powerful computer) and Bitcoin mining software. As you can see, Bitcoin mining is not that difficult to understand. You may want to mine Bitcoin, you may not want to mine Bitcoin. Either way, the next big question on your mind is probably something similar to ‘How do you mine bitcoin?’ Well, let’s get right into it. What is Bitcoin Mining: How to Start Bitcoin Mining? Follow the steps below and you can become a bitcoin miner yourself. If you don’t want to, that’s fine too — learning how to mine Bitcoin still helps you to gain a better understanding of mining itself. 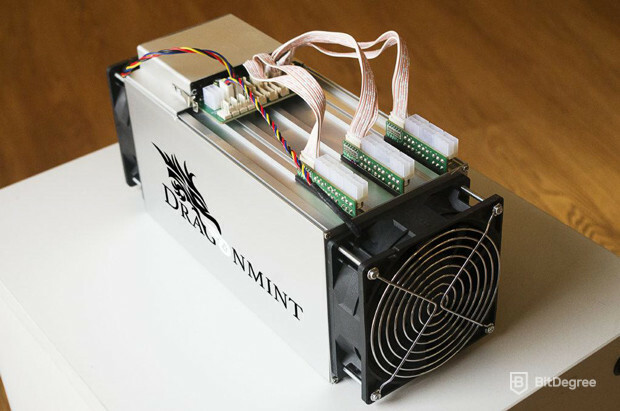 The first step to start Bitcoin mining is to purchase the mining hardware. Selecting the right hardware is important for the success of mining. So what is Bitcoin mining best hardware? When Bitcoin mining started, back in 2009, you could mine using basic computers — like the ones we buy from retail stores! That computer’s CPU (central processing unit) had enough power to quickly solve the mathematical problem. As Bitcoin started to become more popular, the miners started to use more powerful computers. They used faster graphic processing units (GPU) that could solve the problems faster, meaning they would win the race and be rewarded with the new Bitcoin! Guess what happened when Bitcoin became even more popular? Miners got even faster. Instead of using CPUs and GPUs, they started using specialized Bitcoin mining hardware called ASICs (Application Specific Integrated Circuits). So, if you want to win the race and mine Bitcoin now, you’ll need an ASIC. ASICs that are created for mining are very powerful and fast. They do not do anything else other than mining. You can check the following comparison of different ASICs which are popular among beginners. You can also checkout ASICs available on Amazon and eBay. There are two ways that you can start Bitcoin mining. One is to start by yourself, which is called solo mining. Another way is to join a group of other Bitcoin miners – these are called mining pools. So, what is Bitcoin mining pool? Think of Bitcoin mining pools as large Bitcoin farms. Lots of miners combine the power of their Bitcoin mining hardware. They also split the Bitcoin reward that they receive. Imagine this: you’re in a Bitcoin mining pool. Your computer power is 2% of the total power in the mining pool. If your mining pool wins the race to verify a block, you will get 2% of the new Bitcoin that the mining pool is rewarded with. If you are a beginner, Bitcoin farming (joining a mining pool) is recommended. There are many different pools for you to choose from. But, be careful and only choose well-known mining pools with a good reputation. Of course, they charge a fee, but it’s normally quite small (1-3%). You could have the best mining hardware in the world, but without Bitcoin mining software, the hardware is useless. Mining software is needed to access the Bitcoin network and the ‘database of old transactions’. You also need it if you want to join a mining pool. Note: I recommend that you check the Bitcoin mining regulations for your country. Regulators from different countries are trying to regulate the cryptocurrency market. This may affect your Bitcoin mining. Once you have set up your Bitcoin mining hardware, downloaded your software and joined a mining pool, you can start mining Bitcoins! But wait, you’re going to be rewarded in Bitcoins, right? So, have you thought about where will you store these Bitcoins? Unlike traditional money, Bitcoin cannot be stored in your bank account. Instead, you store them in a Bitcoin wallet! So, what is Bitcoin wallet? You must be very careful when choosing a wallet or you could lose your Bitcoin. Many people have lost a lot of money because their Bitcoin wallets got hacked. 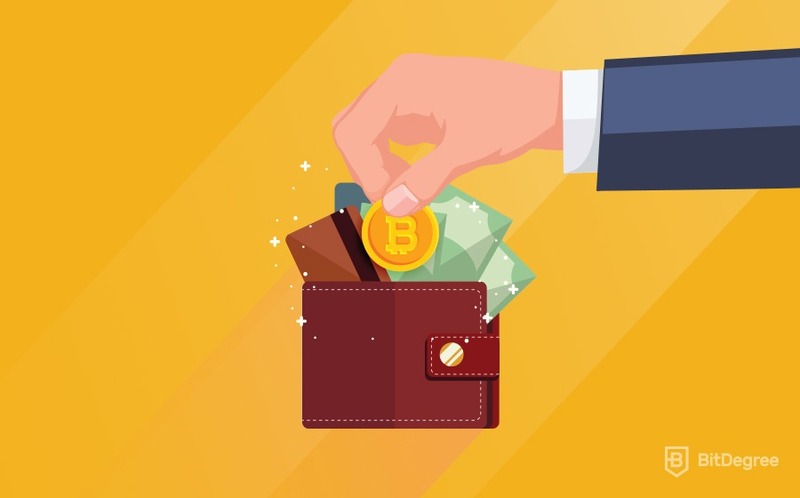 There are three types of Bitcoin wallets — web wallets, software wallets and hardware wallets. Web wallets and software wallets are always connected to the internet. To use/access a web wallet, you go to a website. To use/access a software wallet, you go to an app. I do not recommend using a web wallet, as this is the least safe option. If you want to download a software wallet, I recommend Exodus, Electrum and Copay. Quick Tip: Exodus is very simple and great for beginners! Hardware wallets are more secure because they are not connected to the internet. They are actual physical devices that you can store your Bitcoin on; you connect your hardware wallet to your computer via USB. Note: ERC-20 tokens are Ethereum-based tokens for the dApps (distributed applications) that run on Ethereum. You can read more about dApps and Ethereum in our Ethereum vs Bitcoin guide. What is Bitcoin Mining: Is Mining Bitcoin for You? The answer to this question is different from person to person. It might be right for you, but it might not be right for someone else. By answering the following questions, I can help you decide. What Is Bitcoin Mining Reward? The current number of Bitcoins that miners are rewarded with per block is 12.5. That’s right, 12.5 Bitcoins are given to the first miner to solve the problem (verify the transaction) of each block. This number halves every 4 years, though. So, in 2020, the reward will go down to 6.25 Bitcoin per block. It’s 12.5 Bitcoins per block right now?! So, how long does it take to mine a Bitcoin?! Well, one block takes 10 minutes to mine. That means one Bitcoin is mined every 48 seconds. How Difficult is Bitcoin Mining? As more and more Bitcoin miners join the network, the mining difficulty level also increases. This simply means that the miners/mining pools with more powerful hardware will win. This also means that you would need to buy more expensive hardware. How Much Does Bitcoin Mining Cost? Hardware/computer cost: Even for beginners, the cost of Bitcoin mining hardware would be $600-$1000 and it is much more expensive if you want to buy the best hardware available. Electricity cost: Bitcoin mining uses a lot of electricity! The cost of electricity at your location can make a huge difference to the cost of Bitcoin mining. If electricity in your area is too expensive, you might lose money by mining Bitcoins instead of making money. If you join a mining pool, remember to also think about mining pool fees — 1-3%. How Much Profit Can You Make by Mining Bitcoin? The easiest way to find out how much profit you can make is to use an online calculator! There are many different Bitcoin mining calculators on the internet. I recommend CryptoCompare’s Mining Calculator. Make sure you think about the cost of your Bitcoin mining hardware. You should include the cost of your hardware in your calculations so that you find out your real profit. Don’t forget about Bitcoin’s price! As we all know, Bitcoin’s price changes a lot every day. This is something that is completely out of your control but can change everything. For example, you calculate your profit when the Bitcoin price is $12,000. If the price falls to $6,000, then your profit may become a loss. We must always remember that this is possible. 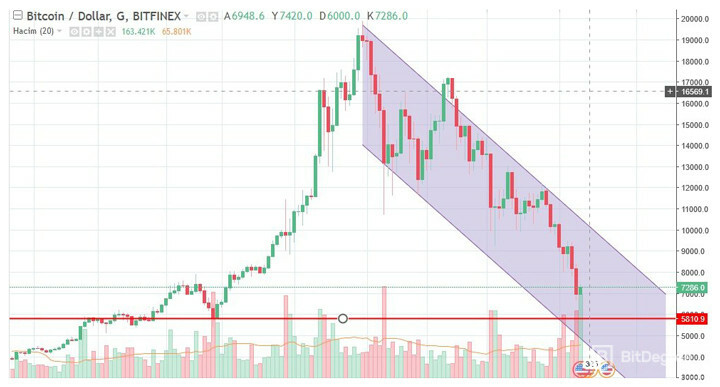 Just recently, we saw Bitcoin fall from $19,000 in December 2017 to below $7000 in early February 2018. So, what is Bitcoin mining? Do you know now? If someone asked you “What is Bitcoin mining?”, would you feel confident answering? I hope that you have a good understanding of what it is, how it works and how you can get started with your own Bitcoin mining. It’s clear that you can make a lot of money by mining Bitcoin, but it depends on a lot of things — most of which are out of your control (electricity costs, the price of Bitcoin etc.). Starting to mine Bitcoin requires a lot of planning and money. It could give you a big profit, but it also may not give you a big profit. If your electricity costs are low, you’re probably very positive about mining Bitcoin. If they are high, you’re probably very negative about mining Bitcoin; well, either that or you’re thinking about moving countries! So, tell us — what do you plan to do? What Is a Bitcoin and How Does Bitcoin Work? Litecoin vs Bitcoin: Is Litecoin Better Than Bitcoin?